Helmets may protect your head, but what protects your head from a helmet? A padded arming cap, of course! Dark Knight Armoury has a number of incredible helmets available, and not all of them are made exclusively for comfort. 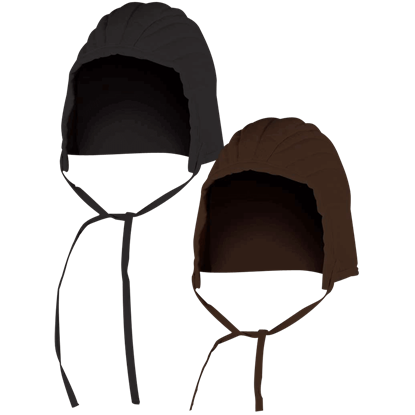 If you are considering a helmet, then you might want to consider an arming cap as well. A padded arming cap is a wonderful accessory that adds a layer of padding between your helm and your head. Without an padded arming cap, a metal or leather helmet can chafe or pinch, catching on stray hairs or rubbing areas of skin uncomfortably. A padded arming cap prevents this, and additionally adds extra bulk to your skull, ensuring that not only is your head padded, but your helmet is also snugly fitted. 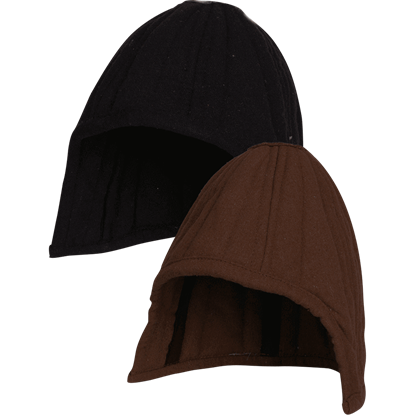 Padded arming caps are also great for cold weather. They could be loosely viewed as medieval warrior earmuffs. So if you have got a helm that is rubbing you the wrong way, then you should get a padded arming cap and wear your helm in comfort as soon as possible. While a helmet or chainmail coif offers protection to your skull during LARP combat, an arming cap is necessary to prevent bruises and scratches. There is no need to sacrifice comfort for a strong defense with the Arthur Padded Coif. 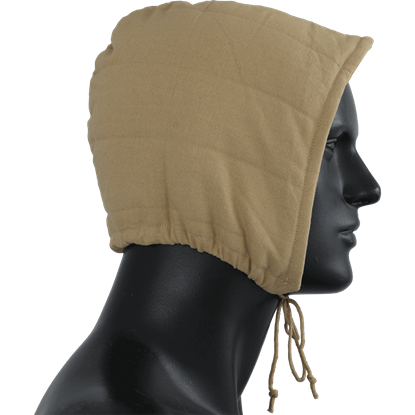 The Beige Arming Undercap is a small medieval hood that can be worn separately or as extra padding under a helmet or hat. 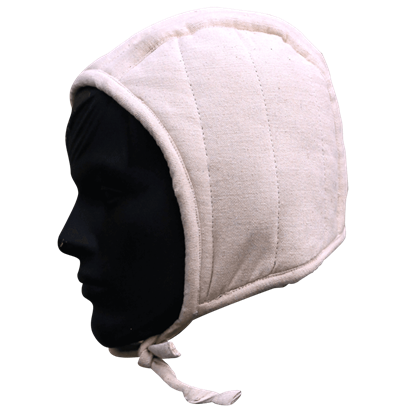 The padded arming cap makes an excellent choice for LARP events and other historical re-enactments. When it comes to wearing armor, the padding underneath is just as important as the steel, leather, and mail you have over it. 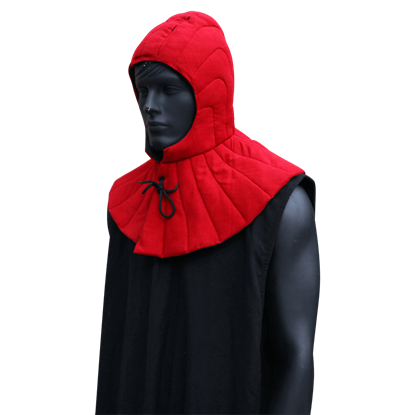 This Black Padded Arming Hood with Collar will improve the fit and make your helm more comfortable too. 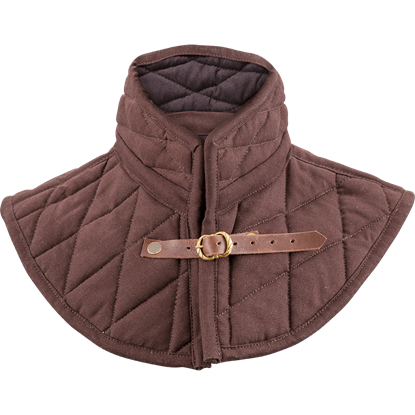 Whether you wear the Brass Buckle Padded Collar in Brown under a steel gorget or on its own as a layer of cloth protection and warmth, this arming collar is a great addition to all kinds of medieval, Renaissance, or fantasy outfits. 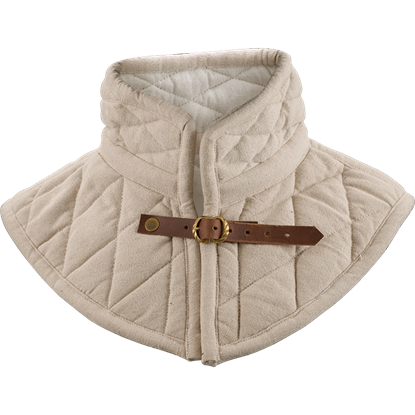 The Brass Buckle Padded Collar in Ecru is ideal for keeping your neck comfortable under armour or adding a light level of protection and warmth to medieval and fantasy outfits. The ecru colored cotton canvas is a natural, light beige. The Hagen Suede Leather Coif provides an extra layer of comfort and protection from scratching and bruising when worn underneath a helmet or chainmail coif. 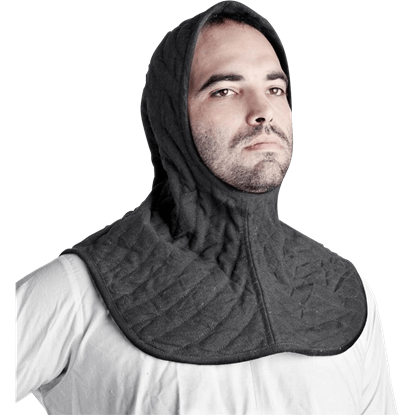 It also serves well as headwear for medieval roles outside of LARP combat. The head is one of the most important parts of the body to keep safe, and protection like the Leopold Arming Cap is great for wearing under armour items, such as helmets and chainmail, for added comfort, safety, and fit. Enhance the comfort, fit, and effectiveness of your helmet while avoiding the pinching, scratching, and bruising associated with armour. 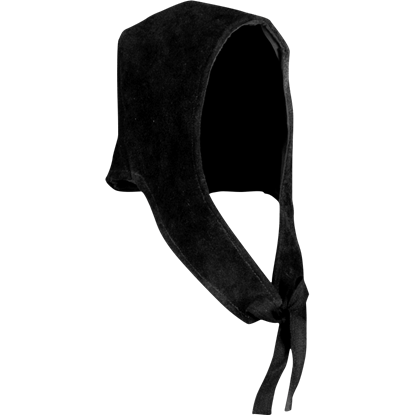 The Leopold Suede Arming Cap strengthens the defense of your LARP character during battle. This Medieval Arming Cap is an effortless and easy addition to add to your armored medieval and reenactment attire. Not only does it bring a touch of authenticity, but it can also help improve helm fits and offer padded protection, too! When knights engaged in jousting tournaments or battles, they would put something on under their helmets to keep the metal off their scalps. 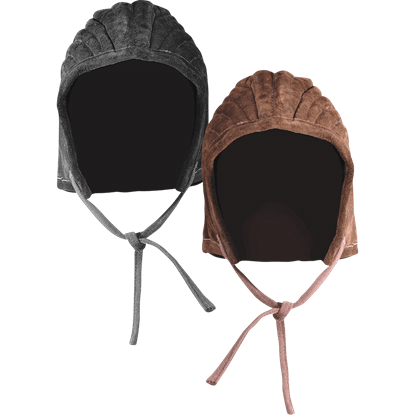 The Medieval Arming Cap replicates one such piece of headgear in authentic detail. 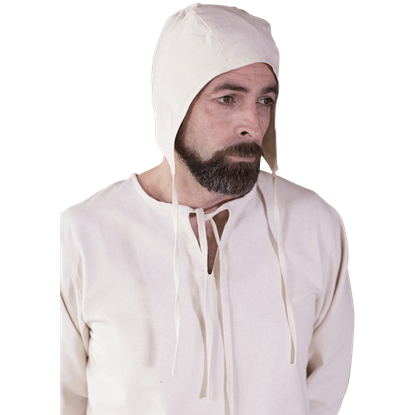 This long, padded arming cap makes a good choice when wearing a bascinet or other half-closed helmets where reinforcement to the neck and back is appreciated. 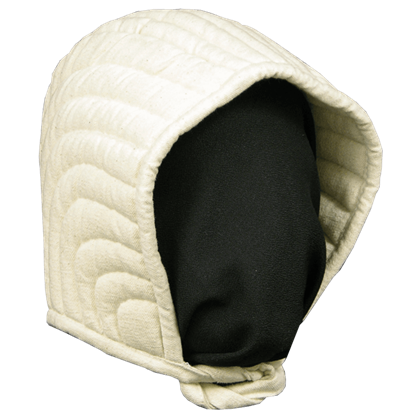 The Medieval Padded Cap features a design made from quilted cotton. To prevent your helmet from chafing, an arming cap is a must. Not only will it make your helmet more comfortable to wear, but this Padded Arming Cap will also help improve the fit of your helm while providing some extra protection.